Figma’s Table Museum series is adding another iconic artistic masterpiece to its collection. 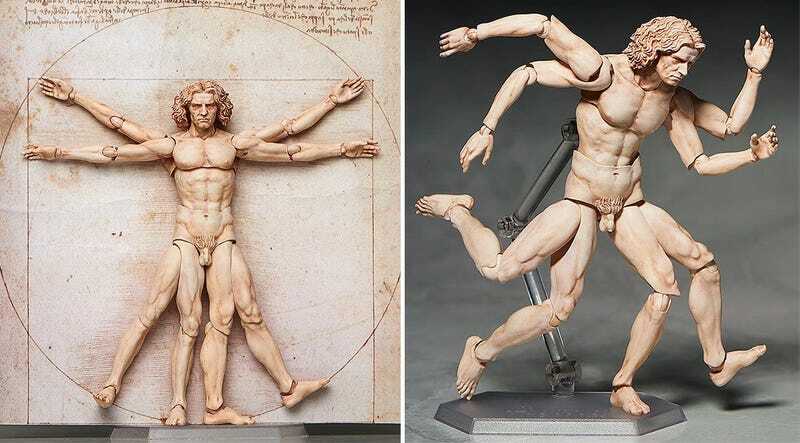 Following up on action figure versions of the Venus de Milo and Michelangelo’s David, there’s now a bizarre multi-limbed version of Leondardo da Vinci’s Vitruvian Man to add to your toy box. With eight limbs at his disposal, Vitruvian Man would have no problem besting Michelangelo’s David in a wrestling match. But you’ll be paying a premium for all of those extra arms and legs. The figure is now available for just shy of $60, with an included display stand and da Vinci sketch backdrop.